MSE Creative Consulting Blog: Weekend Travel Plus Christmas - Boxing Day Storm? 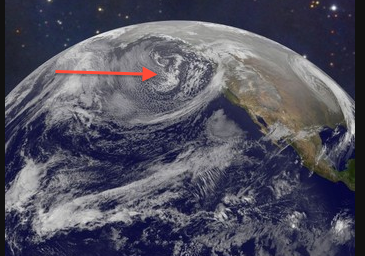 Above is the potential Christmas and December 26 storm. But, I still cannot give you any kind of confident forecast. Let me give you an example of just how crazy these computer models (which got Hurricane Sandy right as much as eight days in advance) have been. The U.S. GFS model run yesterday evening predicted 14" inches of snow for Wichita. The U.S. GFS model run this morning predicted zero snow for Wichita! Given there are a number of models there have been a couple (literally) the last three days that have forecast a few (3-5) inches. But, most have been swinging between the two extremes: Zero or double digit. One even showed more than two feet of snow in southeast Kansas! I don't mean to focus on Wichita except as an illustration of how impossible an accurate forecast is at this time. That said, let me give you an idea about the weekend travel. Unless you are going to Buffalo Saturday (snow) or San Francisco (heavy rain) Saturday and Sunday, there will be no major travel problems outside of mountain snow.